If you’re new to vaping and starting to explore the wide world of devices and vaping methods, you may be overwhelmed by all of the various terms and abbreviations. This glossary is designed to get you up to speed and serve as a handy reference manual for the rest of this guide and for whenever you come across unfamiliar terrain. In order for vapor to be produced and inhaled efficiently, atomizers must include some form of porting for air to flow through the device and into your mouth and lungs. Many of today’s devices include adjustable airflow in the form of small rotating sleeves that open up to allow for more airflow. This feature makes it easier to inhale and produces more vapor. Functionally, the atomizer is the single most important part of your vaporizer. It is usually a small tube that includes a positive and negative lead connected by a coil. When power is applied to the atomizer, the coil heats up and converts your e-liquid into vapor. An Atomizer or Atomizer head usually contains cotton wrapped horizontally or vertically. The cotton serves to absorb your juice and vaporize your e-liquid. Batteries come in two main categories: built-in and removable. Built-in or removable batteries are sold as a part of your vaporizer device and usually come with a dedicated chargingcable specifically for the device. Removable batteries are those which can be purchased separately and interchanged at will. Batteries are rated in several different ways, but milliamp hours (mAh) is the rating most often used by vapers. The mAh rating tells you how long the battery will last at any given power rating, so you can shop around for higher-rated batteries. Batteries also contain an amperage rating which will dictate the compatibility of the battery with the MOD. Batteries typically range from 10A (amps) to 35A. While the name suggests that the vape device is a modification of an earlier vaporizer, most of today’s box mods are simply designed with advanced features already in place so there is less DIY work on your end. Vaporizers generally either come in box-style cases or in cylindrical pen-style cases. Modification is predetermined by a Chip or "Chipset," calibrated to provide a variable voltage, variable wattage or temperature control draw when a vape tank is attached. Building refers to constructing a rebuildable atomizer deck. Typical rebuild decks include RBAs (Rebuildable Atomizers), RDA (Rebuildable Deck Atomizers) and RTA (Rebuildable Tank Atomizers). Wire and Cotton are required to rebuild your atomizer. The part of the vaporizer that attaches to the e-cig battery and creates a mouthpiece while also housing the e-liquid. A hybrid of a cartridge and an atomizer, designed into one piece for holding liquid and vaporizing it. Functionally the coil is the single most important part of your vaporizer. It is usually a small tube that includes a positive and negative lead. When power is applied the coil heats up and converts your e-liquid into vapor. A coil is wrapped to both raise and lower resistance. The more wraps the atomizer contains the higher the resistance. Less wraps will provide lower resistance and allow for higher wattage use. Coils are available in several types such as Kanthal, Ni200 (Nickel), Ti (Titanium), SS316/L (Stainless Steel) and Hybrid types. Dripping is a popular form of vaping where the vape user manually drips e-liquid into the atomizer every few hits instead of filling a large tank with liquid. This style of vaping offers more control over how e-liquid is used. Dripping requires a coil to be built, wicked with cotton and primed. Dripping will never occur when using a pre-built coil head unless used with an RBA head. AKA “cig-a-like”, this is a vaporizer that looks like a traditional cigarette. The flavorful liquid that you put into a vaporizer or electronic cigarette, usually contains a mixture of nicotine, propylene glycol, vegetable glycerin, and flavorings. This is what is poured into the cartomizer and then turned into vapor. Any vaporizer that doesn’t resemble a traditional cigarette, homemade or professionally manufactured. AKA “PG,” is one of the two base liquids used to carry nicotine and flavor in your e-liquid. Propylene glycol is used in the medical field to carry medical inhalants for asthma and other breathing treatments, and has been deemed generally safe for consumption by the public. Some people find that they have mild allergic reactions to PG that leaves them with a scratchy throat. PG enhances a "throat hit" and carries flavor. Higher PG is not recommended in sub-ohm vaping styles as the throat hit will become too overwhelming. These are actually two separate styles of devices, but it is easy to tell them apart. Abbreviated to RTAs and RBAs, these are atomizers that allow the user to disassemble the parts, change coils, clean them and put them back together. Older devices used disposable sealed cartomizers that were thrown away when they stopped working. Rebuildable atomizers are meant to last a long time with routine maintenance. The difference between RTAs and RDAs is simply that one has a large tank, while the other only has a small well for dripping. RTAs contain tank capacity comparable to a Standard Sub-Ohm Vape Tank. RDAs typically contain little vape juice capacity and are attended to soak cotton and use rather than rely on tank capacity. Sub-ohm vaping was born out of a desire to produce more vapor with the same device. By increasing current flowing through a device and decreasing the resistance of the coil wire, it is possible to achieve less than 1 ohm of resistance in the entire circuit. This creates more heat, and more consistency, which leads to more vapor. In an effort to better control the way your vape tastes and how much vapor is produced, many manufacturers of advanced vaporizers have added temperature control features. Temperature control vape mods allow you to manually set the heat produced at your coil, and the device adjusts the wattage and current accordingly to hit the target. Most temperature control devices also come with preset options depending on the type of coils you are using and the style of vape you prefer.Certain Wire or Coil types require temperature control such as Ni200 and Titanium wires. The cloud of vapor emitted from a vaping apparatus. AKA “VG,” is the other base material used in e-liquids. Vegetable glycerin is derived from naturally occurring plant oils and has a slightly sweet taste. More and more e-liquid manufacturers are using high VG blends or “Max VG” blends to reach vapers who do not like propylene glycol. There are dozens of other terms commonly in use in vape forums around the web. These are some of the most popular vaping terminologies that you will need to get started today. The most common type of connection on advanced vaporizers where tanks get screwed in. A vaping term for smoking cigarettes. AKA “Advanced Personal Vaporizer” or “Personal Vaporizer,” these are the correct current terms for advanced vaping devices. Take a break to vape. Basic e-cigs that resemble traditional cigarettes; entry level types such as the Express. Vapers who take on an almost competitive spirit with their vaping. These vapers work to create the biggest smoke clouds from their vaping and will be constantly rebuilding their setups to find the perfect formula for the biggest cloud. Someone who suffers from GAS or “gear acquisition syndrome,” these vapers are always on the hunt for the latest and greatest hardware and accessories for their collection. The technique of using a vaping device. Each drag will take anywhere from 3 to 6 seconds, slowly drawing vapor into the mouth. A proper draw will give vapers a great experience and maximize pleasure. An accessory that tops an atomizer and allows a vaper to easily drip. This hollow mouthpiece can be used in place of a cartridge or cartomizer so a vaper can drip right into the atomizer. AKA direct to lung, or DLI aka direct lung inhale. In this vaping technique the vaper inhales the vapor straight to the lungs. This more like taking a hit from a helium balloon than it is smoking a traditional cigarette. Generic, general name for vaporizers. You know an eGo vape when you see one; larger than cig- alikes, they make no effort attempting to be cigarettes. Flavor chasers are a lot like cloud chasers, except their priority is all on the flavor. These vapers will work to create the best blends and recipes for their juices. Flooding happens when juice gets into the air passage of the tank. Flooding can happen with even the most advanced devices, not because of setup but because of physics. Caused by a short in the coil, a hot spot will be a section of the coil that feels too hot. These can cause issues for your coil and even snap it. Milliamps per hour – the unit of measure for the power of APV batteries. AKA Mech Mod. Mechs are vape devices without circuitry or a pre-installed battery. A popular option for many vapers, mechs are simple devices that offer a more pleasurable experience for expert vapers and those who like to work on their own builds. Typically a vaporizer that is on the larger side, requiring a larger battery, resembling flashlights. They enable you to do as much modification as you like. AKA mouth to lung vaping. This vaping is the most similar to smoking a cigarette, in this technique a vaper will hold the vapor in their mouth first, before inhaling into their lungs. AKA “newbie,” someone who is new to vaping and vaping culture. A screen that displays watts, volts and ohms. Vaporizers that are designed with a pass through charging cord; they can be used during charging. Vapers who like their vaping experience to imitate their smoking experience as much as possible. Dripping on a regulated mod – unlike mech mods, reg mods regulate the voltage of the battery as an added safety precaution. Regulated MODs regulate wattage, voltage and ohms through advanced chipsets. Mech MODs use unregulated voltage. When liquid splashes back into the vaper’s mouth while vaping. Changes in a vaping setup or in vaping technique can help reduce the amount and frequency of spitback. The versatile, replaceable compartment where e-liquid is held. Vapers whose hobby is “tinkering” or adjusting and improving their set up. Vapers who can perform tricks with their vape clouds, these tricks may include: ghost hit, dragon, tornado, French inhale or smoking O’s among others. Tricksters, like cloud chasers, work diligently on their set up to find the perfect combination to perform their tricks. An ailment where a vaper will temporarily experience diminished taste for e-liquids, or even for some food or drinks. A temporary problem, vapers can avoid by switching eliquids regularly, in order to keep their body from getting too used to one flavor. This cotton piece absorbs the liquid and regulates how much is permitted into the coil at once. Vaping has become a fast-growing and vibrant industry over the last few years and there are no signs of it slowing down. Currently, the market is predicted to reach a total value of $50 billion by the year 2025 (Research and Markets 2016). Like many industries that bring a new product to the market, the history of vaporizers is an interesting one that has seen changes in technology and growing customer options. Here is a brief overview of their history and development. The technology behind vaping traces itself to the first electronic cigarette developed by Herbert Gilbert, which he patented in 1963. Despite being developed in the 1960s, electronic cigarettes did not become a publicly-sold product until 2003. That year, Hong Kong pharmacist Hon Lik was looking for an alternative to smoking and patented the first modern e-cig. The product soon became very popular in China and then worldwide. Vaporizer technology is constantly changing and evolving to create a better user experience. Because of this, vaping equipment can be broken down into several different product generations. Early generation products resemble cigarettes in appearance and are far simpler, when compared to current offerings. Called cig-a-likes, these products are easy to use and maintain. Many are composed of only a battery and cartomizer. Simple products, some are disposable while others take refills. While no longer as popular as they once were, first-generation vaporizers played a valuable role in helping people transition from traditional tobacco products and introduced many non-smokers to vaping. This generation saw the introduction of vape pens. 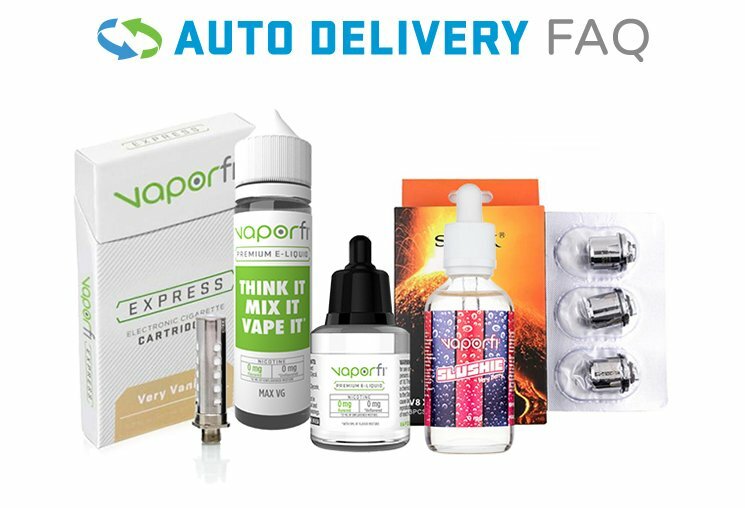 One of the most popular vape products on the market, vape pens are largely responsible for the growth of the industry and remain very popular with new and veteran users. The reason for this is that pens are refillable and can make use of the multitude of e-liquids on the market. This allows for a totally customizable user experience. Aside from refillable tanks, pens introduced far stronger batteries and a far more complex and long- lasting device compared to early vaporizers. The third generation continued to expand on the end-user experience and saw the introduction of MODs to the marketplace. Like vape pens, vape MODs improve upon existing technology by being more efficient with a longer battery life. New features in this generation included: temperature controls, regulated charging, and improved safety features such as short-circuit protection. The evolution of vaping hardware would not be complete without mentioning coils and tanks. They are highly customizable, allowing vapers to further modify their user experience. Different tank types allow users to carefully control airflow which is an important part of vaping. While coils allow more precise control over temperature. Temperature control is one aspect of vaping that is becoming easier to control and adjust as needed. Properly maintaining your vaporizer is the only surefire way to give it a long life. Cleaning and maintaining your vaporizer typically means disassembling the different parts, clearing them of any residues left behind by your vape material and inspecting them for damage before you put everything back together. This will keep your vapor tasting great and keep your device from breaking down prematurely. Assuming you’ve stepped up from the disposable e-cigarette models and invested in a quality personal vaporizer, you will find there are several components of your device that require regular maintenance. The most obvious is the coils and wicks; they are considered consumables that you will change out on a regular basis. You will immediately notice a bad flavor and experience if you continue vaping with bad coils and wicks. However, you should also be taking steps to clean your vape tank on a regular basis as well. Many e-liquids contain chemicals that eventually break down plastic components and O-rings over time. The best thing you can do is take your device completely apart and clean away any residue before reassembling. Many vaporizers come with small brushes to help get the job done. Simply dump out any residual e-liquid and then use a cotton swab and some water or rubbing alcohol to wipe down all the parts inside and out. Then lay out all the parts on a clean towel and let them air dry. Some people choose to use a small steam sanitizer to clean mouthpieces during their regular teardowns as well. Make sure to check your parts and find out if they are safe in a steam sanitizer. – some plastics and other materials may crack if placed in these devices. In order to protect your device against any hidden leaks and dust, you should also clean all of the connections that allow power to flow to your coils. Again, a cotton swab and some rubbing alcohol are sufficient to keep the terminals clean and prevent loss of power. If it’s time to swap out your atomizer or atomizer coil, do so before reassembling your device. All of the hard work you just put into cleaning will be for naught if you keep using a dirty coil and wick. Dry herb vaporizers require slightly more maintenance than other vaporizers. Since the used herb remains in the chamber, it is obvious that adding more herb will have a negative effect. This is why most dry herb vaporizers come with a cleaning tool to help you get any remaining herb out of the chamber. In addition, the more advanced dry herb vaporizers give you access to the complete vapor path and typically come with wire brushes designed to keep the vapor path clean. Over time, build up in the vapor path can change the flavor of your vape and cause hot spots. If you’re really lucky you will be able to remove the glass or ceramic vapor path itself to inspect it for cleanliness. Concentrate and wax vaporizers are closer to regular e-liquid vaporizers. You will need to clean the heating chamber very well to get rid of any leftover residue. Again, changing your coils and wicks on a regular basis is a requirement if you want to get a good, clean vape. Given that waxy substances tend to hang around a little bit more in the cracks and crevices, you should pay close attention while you’re cleaning with a cotton swab to make sure you don’t miss anything. Naturally, the exterior of your device needs cleaning to protect that beautiful finish and make sure the buttons operate smoothly. If you have a bad habit of dripping a little bit of e-juice from time to time, you definitely don’t want it to run down into your firing or adjustment buttons and cause problems later. For the most part, you can wipe down the exterior of your device with a plain rag. Around the buttons you may want to use a cotton swab or a toothpick to get any grime out of the tiny cracks. If your screen is full of fingerprints, consider using a specialty screen wipe that is designed to protect the screen’s surface. Do not submerge your vaporizer parts in water. Use only enough water to gently wipe away dust and sticky fluids. Do not use harsh soaps or chemical cleaners that could cause microscopic etching of the surfaces or otherwise leave behind dangerous residues. Don’t rush the drying process. You want to know that your device is completely dry before you put everything back together to prevent any shorts or water getting down into the electronics. Don’t slack on maintenance when it comes to your vaporizer. Your vaporizer is an investment and failing to maintain it will cause it to give out long before its time is up. Vaping offers you an alternative to traditional, combustible cigarettes for your nicotine fix. E-liquids use pure, concentrated nicotine that can easily be stepped down over time so you can keep vaping on your regular schedule while gradually reducing your nicotine intake to zero. In order to effectively step down your nicotine level, you first need to determine the appropriate nicotine level to begin with. Different manufacturers offer different nicotine contents in their e- liquids. Some companies offer a small range of 0 to 6 mg of nicotine while others go as high as 36 mg. If your goal is to start stepping down your nicotine level, find the level that seems right for you and begin to slowly transition to smaller and smaller doses. Another important piece of the vaping puzzle is the equipment you are using to heat your vape juice. Entry-level devices differ greatly from advanced sub-ohm devices, which increase the potency of your e-juice by heating it more efficiently. This becomes apparent if you have been using a 6 mg juice in a basic vape pen, suddenly switch to a more advanced device, and then feel overpowered. If you upgrade your equipment, make sure you step down your nicotine to match. You may even be able to cut your nicotine content in half at this point. Once you get close to the bottom of the nicotine range, you will notice you have fewer options available in terms of nicotine content, but more options for flavors. Some manufacturers offer a 6, 4 and 2 mg spread, while others only offer 6 and 3 mgs. What do you do if you started at 6, stepped down to 3, but aren’t quite ready to drop to zero yet? The answer is mixing down. Basically, you can dilute you e-liquid on your own to achieve an extra step down on the ladder. This can be done in a couple of different ways. Some people simply buy a bottle of 3 mg liquid in their favorite flavor such as American Red Tobacco and then buy a second bottle of zero nicotine in the same flavor. This way you can add a few drops of zero nicotine liquid to your tank and work your way to a 50/50 mix that would be equivalent to 1.5 mg. Again, you can stop here for a few weeks and allow your body to adjust down once more. It is important to note that VG and PG have different consistencies, so adding one or the other may change the way your e-liquid flows through your device. Most manufacturers offer a wide range of nicotine levels to begin with, but you can self-dilute your liquids at any point to add extra steps if you are struggling. Just be sure you give yourself plenty of time to adjust at each stage so that your progress sticks long term. Actually, dripping is one of the most developed forms of vaping and has been around since the early days of the modern personal vaporizer. The only difference between dripping and vaping from a cartridge or tank is that you are manually adding a few drops of vapor to your atomizer every few puffs instead of letting the tank do the job for you. This is typically done for greater control of flavor and vapor production. Either way, it’s not new, and there are many devices and accessories designed specifically for dripping. It goes without saying that drenching your batteries in e-liquid is never the intended use. From a technical standpoint, most vaporizer batteries sit right next to all of the important chips and boards that manage the device internally, so continually soaking your batteries would probably result in destroying the rest of your vaporizers. As long as you are not flooding your atomizer, there should be no reason for your batteries to ever come in contact with your e-liquid, ever. In reality, you are dripping your e-liquid onto the coils, which are self-contained in your atomizer. As you drip, the liquid seeps down between the coils and soaks into the wick, just the same way it would if you were using a tank. The wick holds the liquid while the coils turn it to vapor. You should not be vaping anything directly off of your batteries. If your batteries are smoking or fuming, you have a serious problem and should stop using your vaporizer immediately. Take note that most battery failures are caused by external damage to the battery case or overheating, not from dripping. Some believe after dripping e-liquid onto the coils, you are supposed to wrap your mouth around the coils and inhale directly off of them. However, coils reach temperatures up to 600oF, which could cause serious injury if touched. To drip correctly, after you drip liquid onto your coils carefully restore the mouthpiece to its rightful place, and continue vaping normally. This protects you from the heat of the coils and the vapor just like a tank setup would. As explained earlier, dripping does not radically change the chemical makeup of your vapor, nor does it modify the way your vaporizer interacts with the liquid. All it does is provide a more direct means of controlling the flavor, scent and cloud production. Smokers have historically had higher insurance premiums than non-smokers. The average smoker will pay up to double what a non-smoker will dole out for health insurance. Since most people consider e-cigarettes as a better alternative to smoking tobacco cigarettes, it comes as a surprise to some vapers that many life and health insurance companies continue to classify the two products as the same when calculating premiums. According to a survey conducted by Munich American Reassurance Company in 2014, most insurance spokespeople (roughly 9 out of 10) felt that e-cigarettes and tobacco cigarettes should be labeled the same (“Are E-Cigarette Users Smokers?” 2015). This number may be so high in large part due to the fact that e-cigarettes are still relatively new. Many insurers are still unsure how to proceed with e-cigarettes since they’ve only been around since 2007 and there isn’t much information about the effects of long-term usage. Until we have more information about e-cigarettes, these policies are unlikely to change much. Vape chargers come in a wide variety of output voltages and currents. They also feature several different threading configurations and polarities. Matching your device to the correct charger can be a difficult task if you don’t know what you are looking for. More importantly, with so many stories in the news about batteries exploding, you must understand what makes a charger compatible to prevent overheating, battery failure or worse. The best way to ensure that your batteries are charging safely is to always use the manufacturer’s charging cable that came with your vape device. Even when you are using the manufacturer’s recommended charging cable, you should never leave your device charging overnight. The best practice to protect your batteries is to always unplug the charger as soon as they are fully charged so that it doesn’t accidentally overheat. If the batteries start to overheat or if you see signs of bulging or disfiguration on a battery, it is a sign of damage. Be aware of your batteries at all times, and have the ability to unplug and move your batteries to a safe place to cool down should they overheat. All battery chargers come with multiple ratings for compatibility. Before you begin looking at these ratings, make sure you are looking only at chargers that share the same threading as your device. Over-tightening and cross-threading your battery will cause permanent damage, so this is the best place to start your search. Next is the voltage. You should never use a charger that has a different voltage rating than your original charging cable. Voltage is defined as the potential difference in electrical potential between two points. A charger that has a higher voltage rating can create thermal runaway as the device tries to make up for that difference, as it is not self-limiting. Again, there are some smart chargers that can automatically sense the type of device you have plugged in and adjust the output voltage to match. You may see these marketed as universal chargers, but many of them include a chart that shows which devices they work with. On the other hand, amperage is simply the strength of the current. It is generally acceptable to use chargers of different amp ratings because it only affects how fast or slow the charging happens. A higher amp rating means you can reduce the amount of charging time it takes to get a full battery, which can be especially useful if you are worried that charging during the day will cut into your vape time. It is worth noting that there are many non-branded charging cables floating around on the market. Many of them are not certified for use, and have not been inspected for quality. Not all USB cables are created equal, and you should be extremely careful of picking up cheap cables at your local big box store if yours get damaged. Cell phone manufacturers and laptop manufacturers have already dealt with this issue extensively when it caused lithium-ion batteries to overheat in smart phones during charging, leading to meltdowns. The batteries in your vape device are no different. Devices that are safe to use will generally be labeled or stamped with the initials of a certifying agency showing that they have been inspected. If we know that it’s not safe to use chargers of different voltages with our devices, how do we know which chargers are safe to use without checking each cable one by one? The answer is compatibility charts. Most charger manufacturers have tried to assist vapers by publishing reference charts for all of their devices. You can find these charts online and they show a detailed list of which devices work with specific charger brands. This will save you time while shopping and ensure that you are making the right purchase, especially if you are ordering online and can’t check the voltage on the charger in person. When vaping in the privacy of your own home, there’s no need to worry about the etiquette of your hobby, but once you get around people there are some things you need to consider. Especially as there is a stigma around vaping. Instead of hurting your own cause by being inconsiderate or just unaware, you can be a proactive and conscious vaping enthusiast with some guidelines. Proceed to enjoy your vaping as long as you are away from other people. Walking down a busy street and puffing big clouds of vapor might not bother most, but will some. Just because the flavor tastes amazing to you, does not mean everyone will share your opinion. Be courteous with your second hand vapor. Movie theaters are highly frowned upon for a few reasons such as: second hand vapor and thick clouds that can block people’s views. Concerts and other such events should be treated the same way. Restaurants, clubs, and shops all have different social codes, and it will depend upon the venue, city or state rules. When in doubt, step outside to enjoy it and you won’t offend anyone. More and more laws are coming about that are restricting the ability to vape on public transportation. Be up to date so you can avoid any consequences for breaking the rules. The propylene glycol content in the vapor has been found to cause some health issues in cats (and in rare cases dogs) so be mindful of your pet. It’s also not a good idea to vape in front of your kids or any children for that matter. Vaping is your personal choice as an adult, but can be viewed as a bad example. If you assumed taking up vaping meant having the freedom to vape in public, you may be in for a shock. Many states and establishments are voting to regulate e-cigarettes just as they do tobacco cigarette. If there are rules in place that prohibit vaping, don’t do it. This just adds to the bad reputation that is building around the vaping movement. Don’t try to be sneaky, you will get caught eventually. However, even if you live in a state that allows vaping in public, remember, there is a time and place for their use—and that time may not be at a restaurant table. Be aware of who you are around, where you are, and put yourself in someone else’s shoes. If you think there is a possibility of bothering someone with your vapor, then don’t do it or step outside and away from people. Sometimes people who have been smoking traditional, combustible cigarettes decide to switch to vaporizers. This is a big change and commitment to a new lifestyle. At first, it will be a focused effort, but in time, you may find prefer your vaping habits and overall experience. Below are some things to expect or look out for when making the switch from cigarettes to vaping. Depending on how long you’ve been smoking and if you are switching straight over to e-cigarettes, it may take some time to adjust. Sometimes switchers experience coughing – that’s your lungs getting all that build-up from cigarettes out of your body. This will likely ease with time. One of the most exhilarating activities you’ll indulge in when you make the switch is experimenting with e-juice flavors. Many vape shops will offer traditional, tobacco flavors, but don’t be afraid to try from the array of flavors available to you – it’s one of the perks of vaping. Regular maintenance is a necessary component of embracing the vaping lifestyle not found in traditional smoking. While it may seem like an added chore, it will ultimately keep your equipment in top condition. For an in-depth look at maintenance, see detail. Once you have the essentials, you’ll see a dramatic drop in your daily expenditures. E-liquid and replacement coils are required far less frequently than new packs of cigarettes, saving you more in the long run. There are lots of people in the vape community who find true joy in the experience of learning a new device and seeing how far they can push it. However, if you are just a beginner, the reality is that you don’t need to overspend, or buy the latest toy to hit the shelves. Instead, you should seek advice from your local store on a good entry level option to get you going. This will allow you to get comfortable with vaping, and work your way up at a pace that fits your needs. Many veteran vapers love the control they get out of building their own coils, and many people push the idea of building your own because of the cost savings. However, this can also be a very frustrating process, and you need a thorough understanding of Ohm’s Law to do it safely. Take your time learning the science before you attempt to wind your own. Plenty of vapers talk about having a spare set of batteries on the charger, or carrying extras in their pocket, however not everyone is talking about the importance of taking care of those batteries properly. Having a spare set of batteries is always nice, but not if they discharge in your pocket and cause injury. Never leave batteries unattended on a charger, especially once they are fully charged. If your device has a built in battery, make sure that it is safe from being accidentally fired or from tipping over while on the charger. Your local vape shop will sell carrying cases specifically to protect your gear and your batteries from accidents. Your equipment should be cleaned on a regular basis in order to keep it functioning properly, keep it lasting longer, and to provide you with the best vaping experience. The way you clean your device will have a big impact on the life of your equipment. For a full guide on how to clean your vaporizer, see details. While the technology inside your vaporizer is enough to impress most, you may be looking for ways to improve the exterior appeal of your vape pen. Sure, most manufacturers offer their pens in a selection of colors and finishes for you to choose from, but there are even more creative ways to enhance the look of your pen without damaging the interior components. Initially, the idea of vape mods was to build upon the technology of the vape pen while creating something unique. Today, box mods are the most prevalent vaporizers around – featuring higher wattages, larger tanks and a slew of aesthetic options. While vape pens have been largely subdued and plain in nature, box mods pulled out all the stops and allowed designers to add creative features like carbon-fiber side panels, larger screens, colorful accents and interesting cutaway windows. Box mods also took on a huge range of shapes and sizes, while the simple vape pen has remained mostly unchanged. The goal of customizing your vape pen is to change its appearance without fundamentally changing the way it operates. Some manufacturers offer colored sleeves that you can slide over the exterior of your vape mods to change the appearance. These sleeves also act as an added layer of protection in case your mod gets dropped or scratched. A few of the higher-end mods use removable side panels to achieve this same thing. You can choose from several different colors of wood grain or carbon fiber and swap out the magnetic panels at will. However, if you are looking for something more extreme, you will have to look outside your neighborhood vape shop and get creative. Some of the most innovative mods around right now use large, chunky vape pens like the VaporFi Rebel 3 to create unusual designs like lightsabers and the Sonic Screwdriver from Doctor Who. One company is even using aluminum cans from your favorite soda manufacturers to build a body around the exterior of your vape pen. As a result, it looks like you are taking a nice refreshing drink every time you vape. A common theme among those who are looking to dress up their vaporizers is an interest in steampunk designs. These sleeves are built out of gears, tubes and other miscellaneous parts as a throwback to a simpler time. Each one is custom-made, so you can order them specific to the measurements of your vape pen. If you’re looking for a slightly less expensive option for updating your vaporizers, you may want to look for a company that prints custom shells for your device. You can find everything from crazy patterns to images from your favorite TV shows to song lyrics. These are typically printed on a thin plastic case that slides over the top of your device with cutouts for the firing button and the screen. Depending on the cost of your vaporizer, plus the cost of having a mod handcrafted by one of these artists, you could be looking at spending several hundred dollars altogether. Once you reach that price range, you could buy one of the luxury brand vaporizers that has come about lately. These include mods that are built into real wood boxes and hand-stained to create a beautiful finish. These mods are purely built for big spenders who want a status symbol as much as a useful device. There are plenty of options available for anyone who is willing to get creative. The most important thing to remember is that your device was built with certain safety features in place and you don’t want to obstruct them. For instance, blocking ventilation holes that keep your battery cool is a bad idea for obvious reasons. Whatever case you choose to buy, make sure it leaves access to your battery, tank and other important areas of your device. You want your vaporizer to be able to breathe freely and stay cool while you’re using it. You also don’t want to use a mod that could damage the exterior of your device by adding holes or changing the way the pieces fit together. A quick search online will take you to dozens of clever designs created by vapers who wanted to make their devices stand out. You can find designs featuring nearly any theme, and can personalize yours to fit your favorite devices. You also can choose from a wide variety of materials and color combinations if you are just looking for a simple change without all the extra complexity. Once you’ve updated your mod, you’ll be proud to show it off to friends and family so they can see how you went from having a simple vape pen to a stylish masterpiece. "Acute impact of active and passive electronic cigarette smoking on serum cotinine and lung function." Inhalation Toxicology 25, no. 2 (2013): 91-101. "American's Perspectives on E-Cigarettes." October 2015. "Are E-Cigarette Users Smokers? 9 in 10 Life Insurance Underwriters Say Yes, Finds Munich Re Survey." Munich American Reassurance Company, May 20, 2014. "Comparison of the Cytotoxic Potential of Cigarette Smoke and Electronic Cigarette Vapour Extract on Cultured Myocardial Cells." International Journal of Environmental Research and Public Health 10, no. 10 (October 16, 2013): 5146-162. "Current evidence suggests benefits of e-cigarettes outweigh harms." Queen Mary University of London. July 31, 2014. Czogala, J., M. L. Goniewicz, B. Fidelus, W. Zielinska-Danch, M. J. Travers, and A. Sobczak. Federal Emergency Management Agency. "Electronic Cigarette Fires and Explosions." October 2014. Flouris, Andreas D., Maria S. Chorti, Konstantina P. Poulianiti, Athanasios Z. Jamurtas, Konstantinos Kostikas, Manolis N. Tzatzarakis, A. Wallace Hayes, Aristidis M. Tsatsakis, and Yiannis Koutedakis. "Global E-cigarette & Vaporizer, Device and Aftermarket, Analysis and Forecast, 2016-2025." Research and Markets. September 2016. Kandra, Kelly L., Leah M. Ranney, Joseph G. L. Lee, and Adam O. Goldstein. "Physicians’ Attitudes and Use of E-Cigarettes as Cessation Devices, North Carolina, 2013." July 29, 2014. Konstantinos, Farsalinos E., Giorgio Romagna, Elena Allifranchini, Emiliano Ripamonti, Elena Bocchietto, Stefano Todeschi, Dimitris Tsiapras, Stamatis Kyrzopoulos, and Vassilis Voudris. Reinberg, Steven. "Are e-cigarettes safer for pregnant women?" CBS News , March 25, 2015. "Secondhand Exposure to Vapors From Electronic Cigarettes." Nicotine & Tobacco Research 16, no. 6 (2013): 655-62.